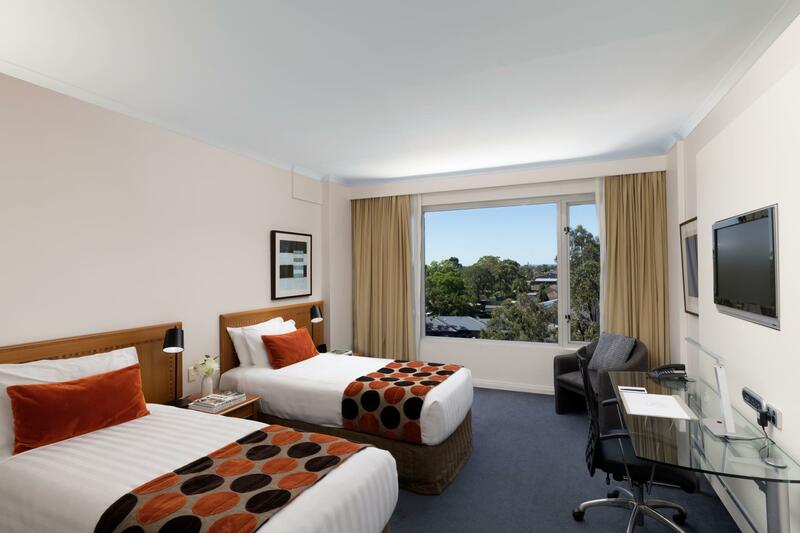 يشكل فندق Rydges Bankstown Hotel Sydney بموقعه الممتاز في قلب بانكستون نقطة انطلاق ممتازة لاستكشاف سيدني. يمكن من هنا للضيوف الاستمتاع بسهولة الوصول إلى كل ما تقدمه هذه المدينة النابضة بالحياة. بالنسبة لمن يريد الخروج، هذه بعض المعالم السياحية المتوفرة للزوار مطار بانكستاون, Bankstown RSL Club, Sydney Miniatures and Dolls House Fair. 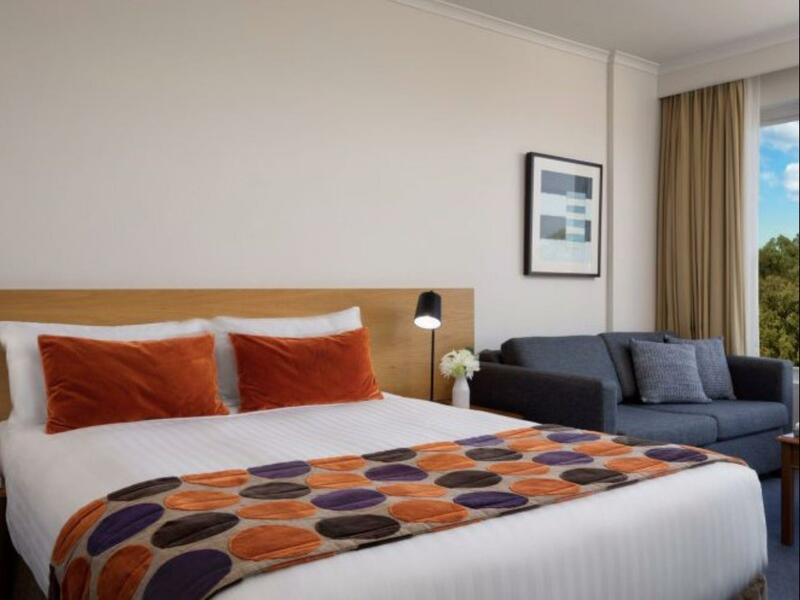 إن Rydges Bankstown Hotel Sydney حريص على توفير الراحة للنزلاء، فلا يوفر الموظفون جهداً في تقديم أفضل الخدمات وضمان حسن الاستقبال. يمكن للنزلاء الاستمتاع بالميزات التالية: خدمة الغرف على مدار الساعة, واي فاي مجاني في جميع الغرف, مكتب الاستقبال على مدار الساعة, مرافق مخصصة لذوي الاحتياجات الخاصة, تسجيل وصول/خروج سريع أثناء إقامتهم في هذا المكان الرائع. ادخل إلى واحدة من الغرف 120 وتخلص من عناء نهار طويل بمساعدة مجموعة كبيرة من الخدمات كمثل تلفزيون بشاشة مسطحة, اتصال لاسلكي بشبكة الإنترنت (مجاني), حوض الاسترخاء, غرف لغير المدخنين, مكيف هواء الموجودة في بعض الغرف. سواء كنت من محبي الرياضة أو كنت تتطلع لتفريغ عناء نهار صعب، ستجد خدمات ذات مستوى عالي بانتظارك كمثل حمام سباحة خارجي. 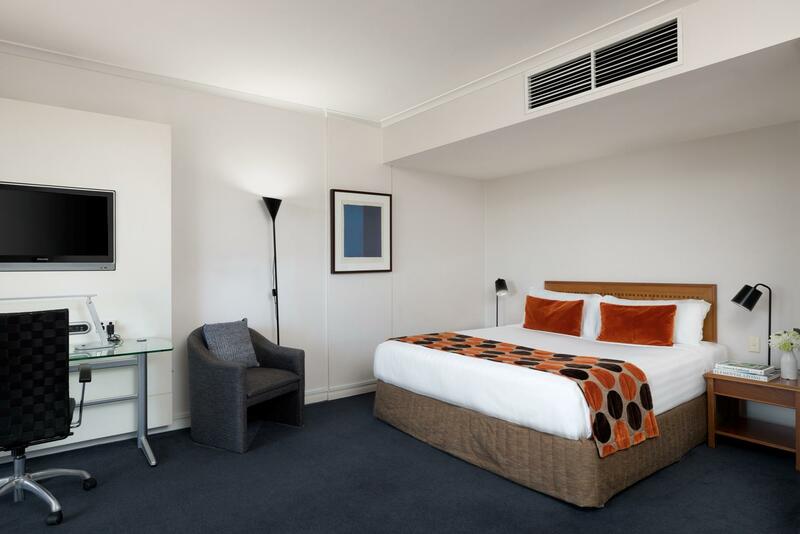 مهما كانت دواعي سفرك فإن Rydges Bankstown Hotel Sydney هو خيار ممتاز لإقامتك في سيدني. Definitely in need of an upgrade, staff are very polite and accommodating. Great staff, advised to join there loyalty program which saved me 20% off all food and alcohol...also cancelled 5 nights for me with no fees. Very convenient for my needs. Little shopping center nearby. Staff was very friendly and helpful. Check-in and check-out was very easy. Light bulb in room entryway was a bit wonky but super comfortable bed. But the room air conditioner not cool enough specially now is summer, I sweat in the midnight! The room air con is not cold when we first arrived so we were transfer to another room and the desk lamp got some problem as it is keeps on bleeping so we turn it off and the tap is leaking and hard to close. In summary the building facility is a bit outdated but the location is perfect, customer service is perfect, cleanness is perfect and close to shopping center (walking distance) and fast food surround. Lack of Training Housekeeping staff are not trained. This is reflected with the inconsistency of cleaning. First day - bat mat not replaced. Second day- no face towels, bath towels not replaced. Trays not taken out from the room. Bathroom was not cleaned at all. TV remote still on the bed Mini Bar not replenished. Only one staff doing both the bar and room service where the occupancy of the hotel is 100% (I was told I have the last room available). 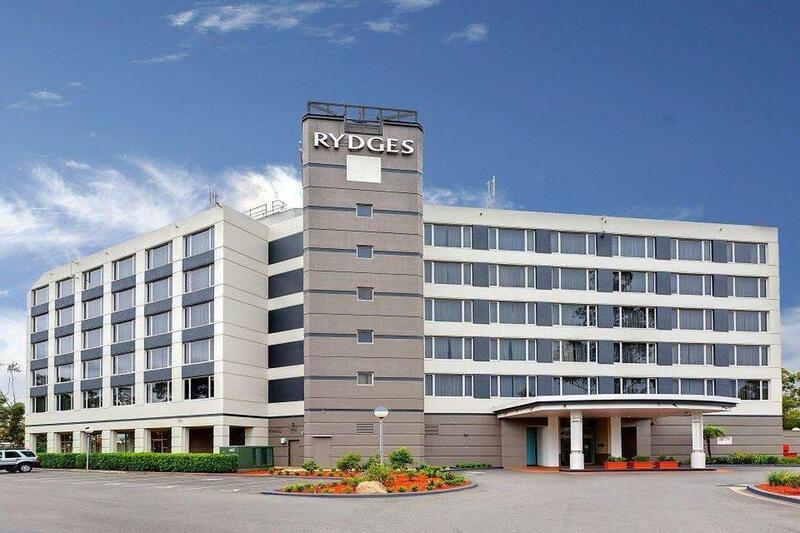 Rydges head office must be happy that Bass Hill Rydges property GM is reducing staff cost. As a result, very bad service, several complaints and potential loss of future revenue. Nothing really changed from my previous comment. It is still staffing levels. GM must be replaced or retrained. 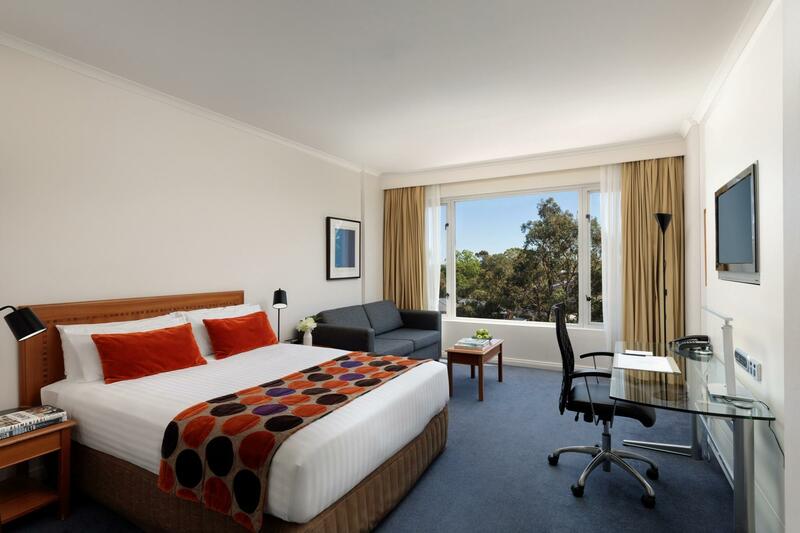 I expected more from a hotel that is called Rydges but some of the facilities looked tired. Good price. Best value for money and if you have a car, this is the best place you could find and close to everywhere. 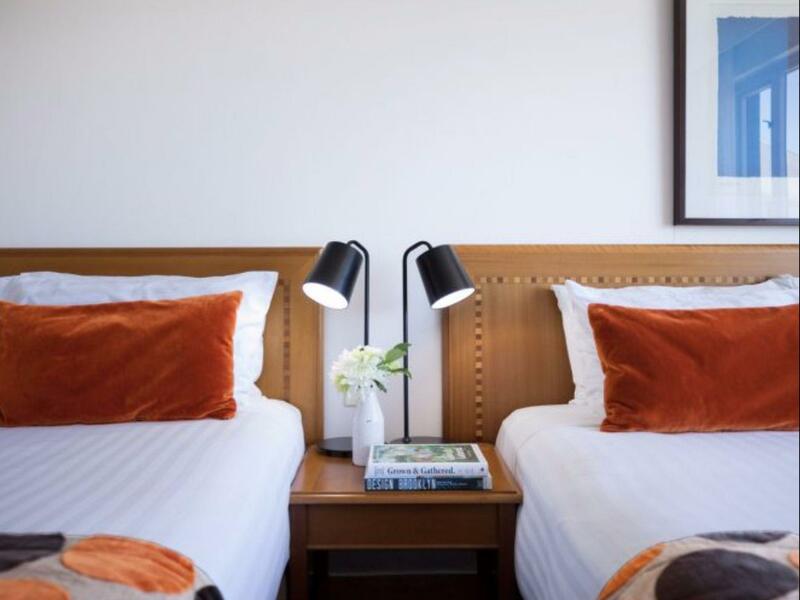 24 hour check in, clean and tidy room, easy car parking. Easy stay. We weren't there long and didn't get to use any facilities outside our room, but it was comfortable and clean. Enjoyed our stay . Was a short stay. Enjoyed our stay, great location and easy to get to.